Penn State researchers may have discovered a way to turn human feces into safe, edible (though perhaps not tasty) goop. According to the research team, their primary goal is providing astronauts with a way to sustain themselves without the need for frequent, expensive supply runs from Earth. 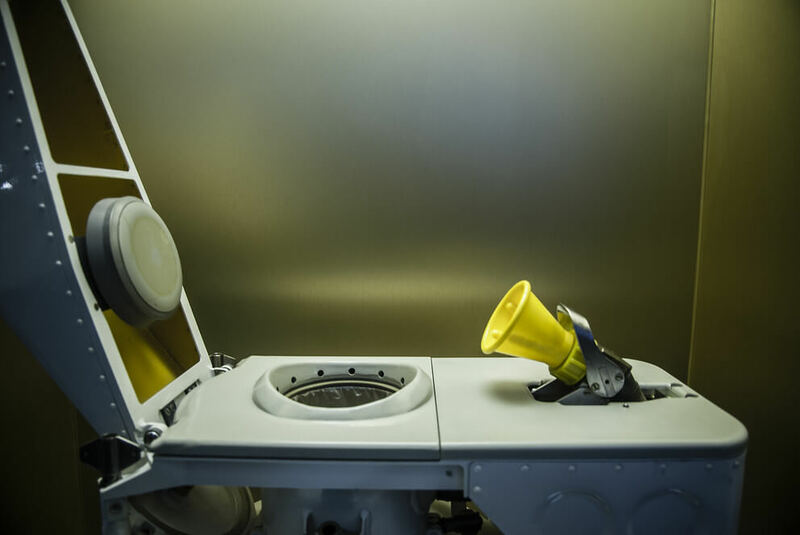 "We envisioned and tested the concept of simultaneously treating astronauts' waste with microbes while producing a biomass that is edible either directly or indirectly depending on safety concerns," said Penn State professor of geosciences Christopher House. "It's a little strange, but the concept would be a little bit like Marmite or Vegemite where you're eating a smear of 'microbial goo.'" The process researchers used to recycle feces, called "anaerobic digestion," is quite similar to what you'd see at a waste treatment plant. In this case, the research team allowed artificial solid and liquid waste to come into contact with certain microbes. Using anaerobic digestion, the microbes broke down the waste, allowing researchers to extract viable nutrients. The nutrients were then placed in a "microbial reactor" used to grow edible food. As unappetizing and complex as this process may sound, the potential benefits of mastering it are innumerable. Astronauts would be able to go on longer trips and venture deeper into space than ever before. Researchers say reaching 85 percent efficiency -- the percentage of carbon and nitrogen successfully recycled from waste -- would be a "fantastic development" for deep-space travel. This isn't the first time science has found a way for astronauts to recycle their own waste. In 2017, Phys reported researchers had discovered a method of recycling urine and exhaled air into new chemicals via microorganisms, allowing for the creation of nutrients and "small amounts of polyesters."